Traverse City, Mich. – (May 29, 2018) – Traverse City-based Promethient, with the support of local seed investment firm, Boomerang Catapult, LLC, is developing world-class technology in Northern Michigan. 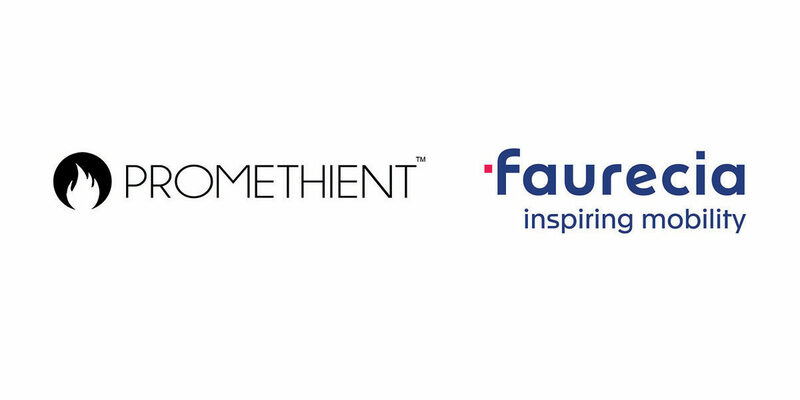 Last week, Faurecia, a global automotive supplier, became a strategic partner of Promethient. In conjunction with their investment, Faurecia announced that Nik Endrud, Vice President for Strategy and Innovation, will join Promethient’s Board of Directors. Faurecia is one of the top 10 largest automotive suppliers in the world with annual revenues of approximately $20 Billion. In March, Promethient introduced Thermavance, a lightweight, conductive heating and cooling system that uses graphene to move heat in and out of humans. The product electronically cools and heats seats in the transportation and furniture industry and is also used to cool and heat garments and medical devices. Promethient was founded in 2012 by long-time Traverse City resident, Charles Cauchy, the company’s Chief Technology Officer and inventor of the company’s technology. Boomerang Catapult provided seed funding in July of 2017 to enable the company to further invest in talent and engineering capacity. In December of 2017, the Northern Michigan Angels invested in Promethient to support their mission of growing the region’s economic base while providing a compelling investment for their members. In December 2017, Scott Kunselman invested in Promethient and was appointed to the company’s Board of Directors. Kunselman is currently the Chief Operating Officer at Oakland University and was the former Executive Vice President of Engineering and Purchasing at Fiat Chrysler Automobiles. A growing company with a focus on the future, Thermavance is changing the way people think about personal climate control. Read More. Utilizing Thermoelectric devices combined with graphene, Thermavance is advancing the science behind directly heating and cooling the body. Read more. For more information, please contact the Thermavance team. Contact Us.